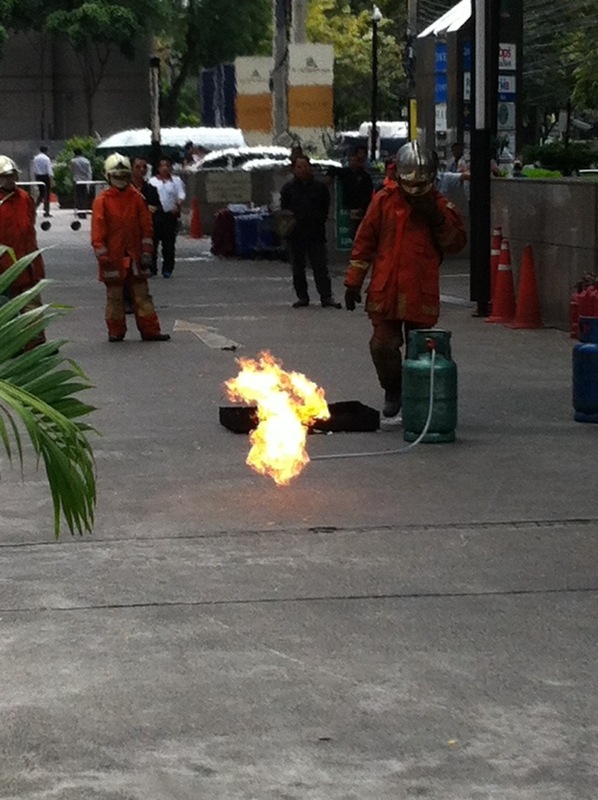 Eduction and training regarding how to deal with a fire in an office building is quite serious in Bangkok. Today the office complex where I work had our training, complete with fire demonstrations and guys in gold helmets that looked as if they came straight from Star Wars. we have these every year training hotel staff. It is quite amazing to see a slender 18yr old bakery assistant tackle a blazing gas bottle as tall as herself! !